If you're like most travelers, you want to get the best travel deals and available discounts for your hard-earned money. As such, we've done a lot of the ground work to provide you with the best deals and links to popular travel websites. With the Expedia search widget above, you easily and quickly search for flights, hotels and rental cars and compare rates from all major brands. This saves you the time and hassle of having to visit each airline or rental car site. When checking on flights for your Lido Key vacation, it's always a good idea to know your options of the locations you can fly in to. In Southwest Florida, there's a handful of airports to choose from including the local Sarasota Bradenton Int'l Airport (SRQ), Tampa Int'l Airport (TPA), and others listed below. If you're willing to drive a little bit further, you may be able to save a few dollars on your flight costs. * Punta Gorda Airport (PGD) currently only offers flights from AllegiantAir and Frontier Airlines. Unless you have family or friends picking you up at the airport, you will likely need to rent a car upon your arrival. The airports listed above have many rental car companies located on-site and will shuttle you directly to the car rental lots including Hertz, Enterprise, Thrifty, National, Avis and Budget. It's always a good idea to reserve your rental car ahead of time to ensure it's ready for you. Also, you can often get some good deals on your car rental when reserving for the entire week (vs just a few days) or by pre-paying for the rental in advance. To compare the car rental rates of all companies, click the links below. 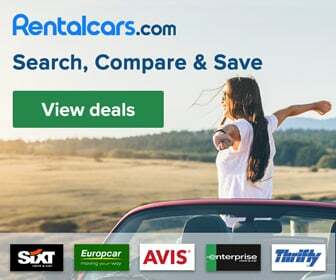 RentalCars - Best car rental prices. Guaranteed. Travelocity - Find the Best Car Rental Rates!